Hopefully someone on here can give me some good insight. Right now both my miter saw and jointer are out of commission. My jointer was used and I have never taken the bolts out, but am looking to change the blades. Two of them came out ok, but the other 6 are stuck in their. I’m at the point where I know I am going to cut/drill them out and get new bolts (new ones already on order). At the same time as I decided to finally figure out that problem, I decided to clean my saw blade and broke off the arbor bolt trying to get it free. I was able to drill out the broken part (the heat loosened it enough so it slid out – hoping for similar results on the jointer) and a new arbor bolt is already on order. My question is how to prevent this in the future. 7 bolts for the two tools cost me nearly $40. Do you lubricate the threads before installing them? If so with what? Do you slightly loosen and retighten the bolts periodically? Every time you use the machine? I’ve been trying to find the best tips online for hours and can’t find anything so give a brother some help – I need to get my shop back up and running! Have you ever had them off before? The only problems Ive had is from used machinery that has never been apart or a Jointer that has sat for years in a barn. Carefull with grease because it can affect torque values. I just use some Penetrating oil on bolts and torque as usual. Put some anti-seize on them. You can get it online or at an auto parts/hardware store. Seized bolts you can try putting a torch to, but there’s no guarantees, and if there’s any kind of seal or gasket or anything attached to the other side of that metal part you’ll almost certainly melt it. Has anyone ever tried WD-40 on these? I’ve had some success on screws and bolts in the past; like long time ago past. Permatex anti-seize compound. Buy a tube and be set for life. That stuff lasts forever. I’m with Jonah on the anti seize. The brand I’m most familiar with is made by Loc Tite. 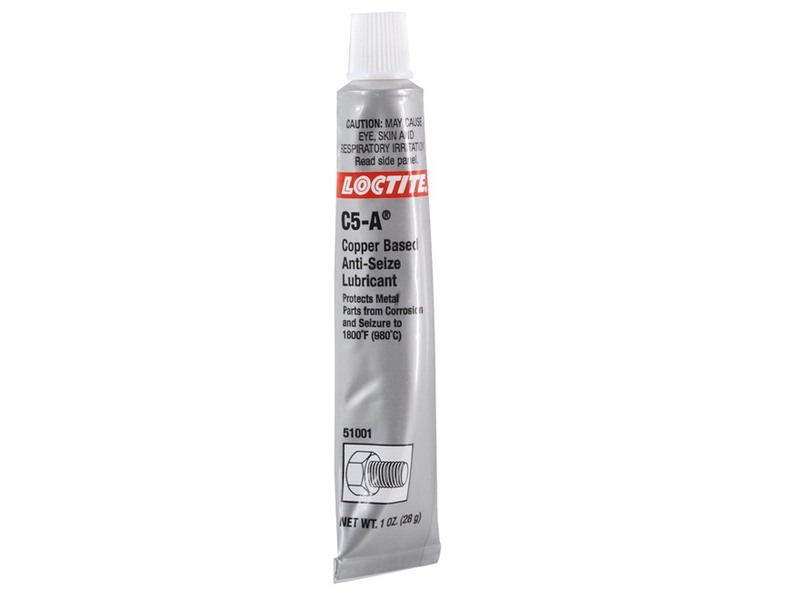 This stuff is great when you need to get bolts out/stuff apart. PB Blaster or Kroil on seized bolts. Spray it, wait a while, then try it. Repeat as necessary, usually works for me for everything but the most stubborn ones. As far as preventing it +1 on anti seize. I would stay away from anti-seize unless your machines spend considerable time in a humid environment. I would instead use paste wax applied liberally then buff away as much as possible before reassembly. This will prevent having grease slung onto your work piece and it won’t attract dust like cease will. I have had luck with heating up a bolt that is seized and while it’s hot touch it with some waxit will wick down the threads.Bees or a old candle works. I had a older guy show me that and I thought it was bs but it works also automatic transmission fluid will help loosen up stuck bolts. A drop or two and then let it sit over night and see if it worked if not repeat the process. Edit: FWIW, the most common cause of stuck bolts is that some folks think you need to get it as tight as you can. Don’t go “gorilla” on your fasteners! I’ve also found that impact drivers (look like drills and are usually sold in a set with a drill) work well in removing stuck fasteners. Used with a bit of penetrating oil, I was able to easily remove those stupid screws holding the rotors the hubs on my wife’s car. Those are usually a PITA to get out. I would stay away from anti-seize unless your machines spend considerable time in a humid environment. I would instead use paste wax applied liberally then buff away as much as possible before reassembly. This will prevent having grease slung onto your work piece and it won t attract dust like cease will. You don’t need much anti seize for it to work. Just a small dab will do it. Thanks everyone. At this point I think I am far more concerned with making sure it doesn’t happen again as opposed to getting the current set of bolts unstuck (I know I may be pulling the cart before the horse). It seems like anti seize might be the best way to go. 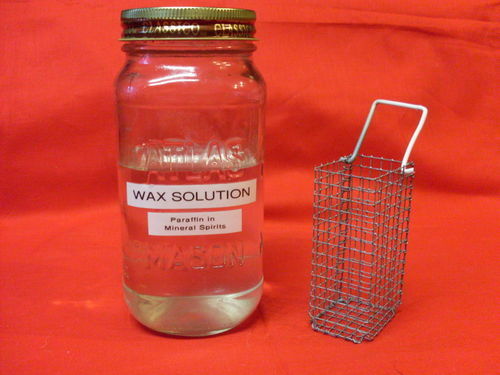 Not only does it lubricate, but it helps prevent corrosion and gets into places you can’t with just a bar of wax.